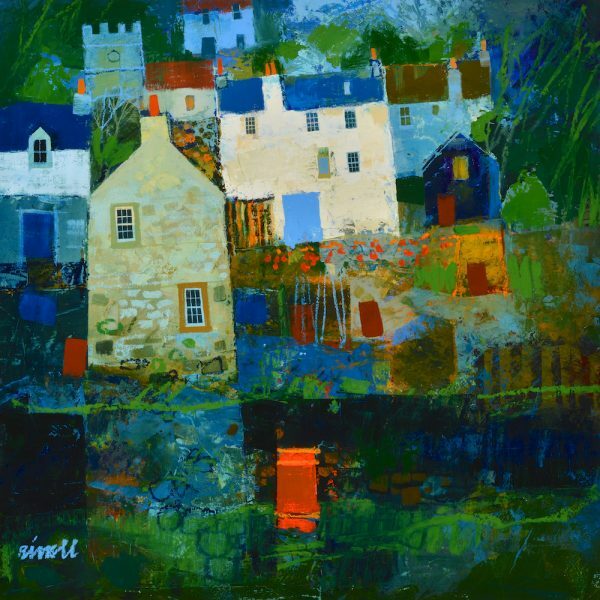 George Birrell was born in Glasgow in 1949 and graduated from Glasgow School of Art in 1971. He was tutored by Leon Morrocco, Alexander Goudie, David Abercrombie Donaldson and William Crosbie. He taught art and design in Scottish schools and started painting full time in 1980. Since then he has taken part in regular joint and group art exhibitions at many galleries throughout the UK. He has created a unique and instantly recognisable style with a confident use of colour and tone. The architecture and charm of the fishing and rural villages of Fife feature regularly in his work.